Moon phase: last quarter 49% illumination with the fall equinox behind us, the days begin to shorten and the nights turn brisk. As the seasons change and the fall weather approaches, it acts as a precursor for what’s to come. The likely answer to the common man or woman would be the holidays are approaching. Don’t get me wrong the holidays are a great time of year, a time to eat amazing delicious food, and spend time with loved ones. However, this time of year is one of the most exciting to bass fisherman. As the fish transition from their summer patterns, they begin to flip the switch so to speak. 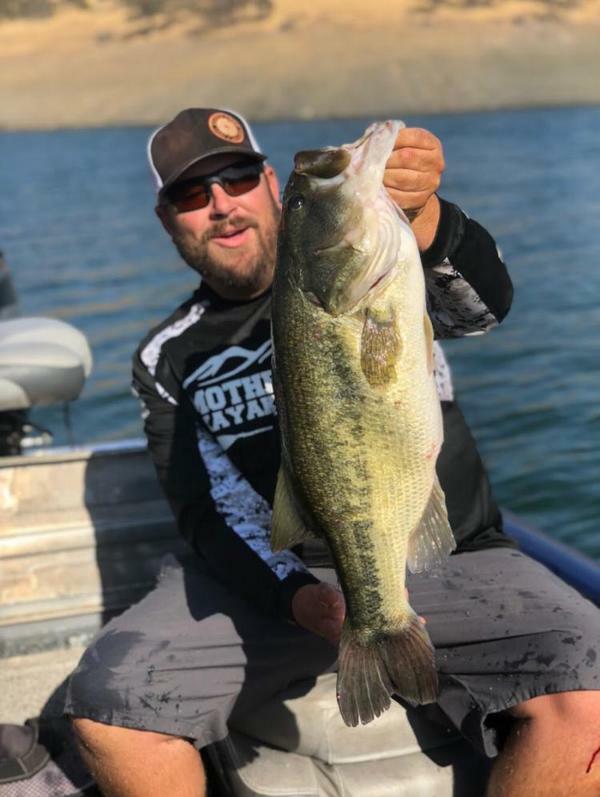 Their normal lethargic state turns to aggression, and the fish know they need to put on those holidays pounds in order to sustain life through the cold dark winter. 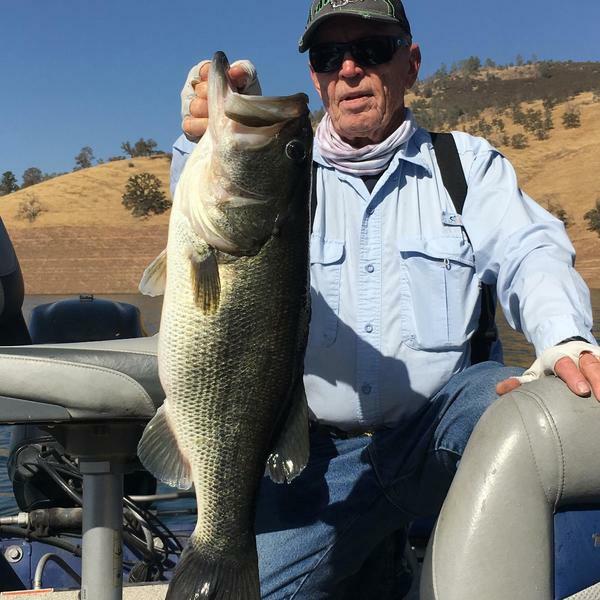 This situation provides an epic opportunity to bass fisherman to capitalize on schooling bass. 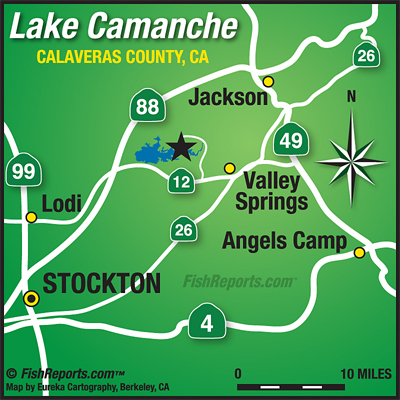 My buddy Justin Ross and I, launched at South Shore Camanche Lake located at 11700 Wade Lane, Valley Springs, California. After launching we ran to the main lake and began graphing ledges in the thirty to fifty foot range. I must say I’m not affiliated with any of the companies who make graphs, but the Garmin 7612 xsv’s are absolutely ridiculous. We could clearly see fish all over the graph and the bait they were chasing up to the surface. Both Justin and I decided to slow roll swimbaits through the zone which immediately rewarded us with some decent spotted bass in the three-pound range. After we picked through about a dozen fish the school scattered and moved off into deeper water. We made a short run to an island on the main lake where we located a handful of fish suspended off brush. The wind nearly shut off and the water appeared slack. We dropped a couple variations of the shakey head rig down to the suspended bass. Our offerings were immediately accepted and we loaded the boat with several small bass. I dropped a jig down onto the school in an attempt to earn a bigger bite. My efforts were unrewarded as I caught another small bass from the same school. After catching approximately twenty fish between the two spots, Justin and I were looking to upgrade our sack. We ran East to a particular main lake point which was fairly deep with jagged rocks present. There were plenty of fish present on the point and the school appeared to be actively feeding. The wind was blowing directly into the point and clouds began to roll in overhead. We both felt something epic was about to happen. We busted out the Alabama rigs and went straight to work. It was almost impossible not to get bit off that point. We proceeded to catch 15,20,30,40 who knows how many we caught? At one point we both couldn’t stop laughing because it was so easy to catch these fish. The fish we caught were almost all spotted bass and they were all just a bit over three pounds. One nice kicker fell victim to our offerings which help our five fish limits. Overall it was an awesome day on the water chasing spotted bass on rigs. The mega bag didn’t want to make an appearance on this particular day but that’s fishing. Good luck next time your out on the water. Like, comment, share, and be a subscriber to RBbass.